Queer Guess Code takes a post-modern feminist approach to identifying problems of gender and sexuality in a media-saturated society. The blog’s goal is to encourage critical thinking about the formation of Western culture, reveal its inherent male bias, and gradually unravel the social codes that make it so imbalanced. PLEASE NOTE: The purpose is not to spread “man-hatred” or to promote the superiority of women. The ultimate goal is to restore a balance between all genders, not by implementing supplementary cultural roles, but by pointing out fallacies and widening the scope of real understanding about masculinity and femininity, among other forms of expression and identity. In addition to its larger goals, Queer Guess Code supports all equal rights efforts, especially campaigns working for the LGBTQ communities, who are most directly and immediately affected by the cultural close-mindedness about gender and sexuality. 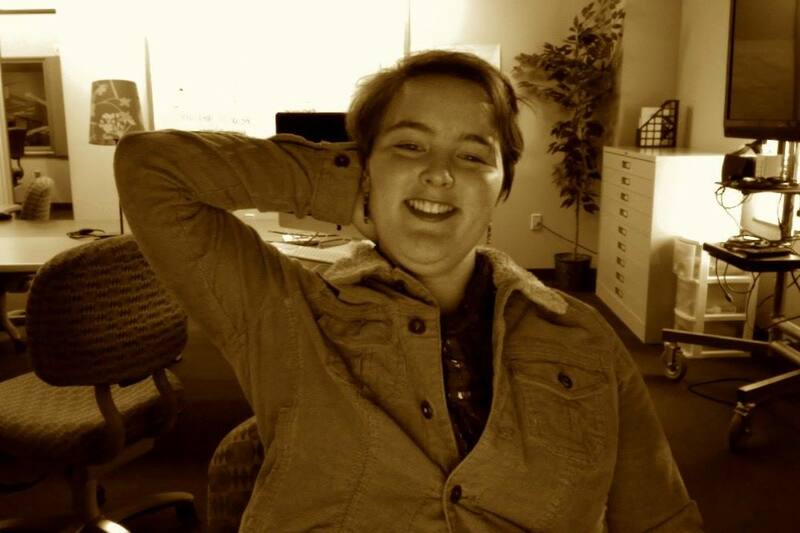 Anna Munsey-Kano, a New England-born queer student at Agnes Scott College in Atlanta, is a Women’s Studies major and a Film Studies minor. She is fascinated with the impact film and media can have on our brains while we are thinking with our hearts, and desires to someday (hopefully soon) have such an impact. Queer Guess Code was inspired by a note she wrote on Facebook about people’s reactions to her gender-bending fashion choices, and that note became one of the first posts in June of 2012. As a full time student and part-time employee, Anna decided to stop regular posting on this blog near the end of 2014, but encourages you to peruse the preexisting content and subscribe–for those days she feels inspired to stop by and write something new! It has happened and it will again! Thanks for stopping by! Please join the Queer Guess Code community by leaving a suggestion, comment, or question here or on the Facebook page! Your blog is so well put together! Impressive! Ya smart Scottie, you. I’m glad you asked! I apologize for taking so long to respond. “Queer Guess Code” is meant to be a play on words regarding “dress code,” the idea being that for people who are queer (LGBTQ or just generally regarded as different), there is a dress code, but you have to guess what it is.